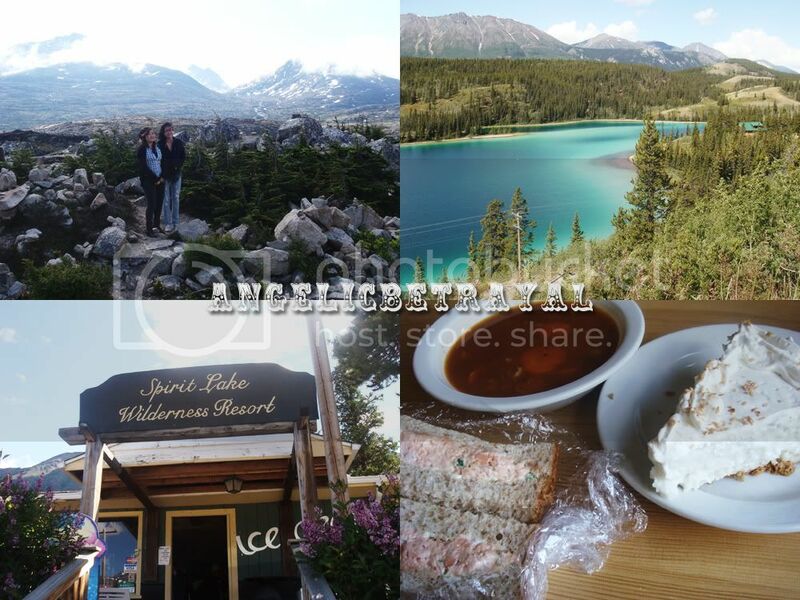 This is the final part of my Summer Trippin' 2011 series in which I traveled throughout most of the West Coast. You can find the first five parts of this series by clicking on the "travel" tag! This last post will include pictures and my thoughts on the stops we made on our cruise in three Alaskan ports and one in Victoria, Canada. Enjoy! Our first excursion day consisted of a bus tour of Skagway, Alaska. The group of people I went with including my parents and out family friends totaled to 18 people so we actually had the minibus to ourselves! The scenery was incredible and I have never been in such a remote area thus far in my life. The population is less than 900 people for most of the year but in the summer months, the population doubles as people come for summer work. Our single cruise ship held more people on board than the entire town! In the summer months it is very common for multiple cruise ships to dock in these towns at the same time. We actually drove into Canada and spent most of our time in Yukon territory. Throughout most of this trip I mostly took pictures of scenery and whatnot but I snuck in a picture with my friend. As you can see, I was only wearing two semi-light layers and very ripped jeans so I was shivering for most of the trip :( We had a quick lunch at a small inn/restaurant which was organized by the bus company. We actually saw another car which had a New York license plate. My friends and I asked the couple who owned the car if they actually drove from New York. It turns out they did.... and it took them 12 days! Incredible! 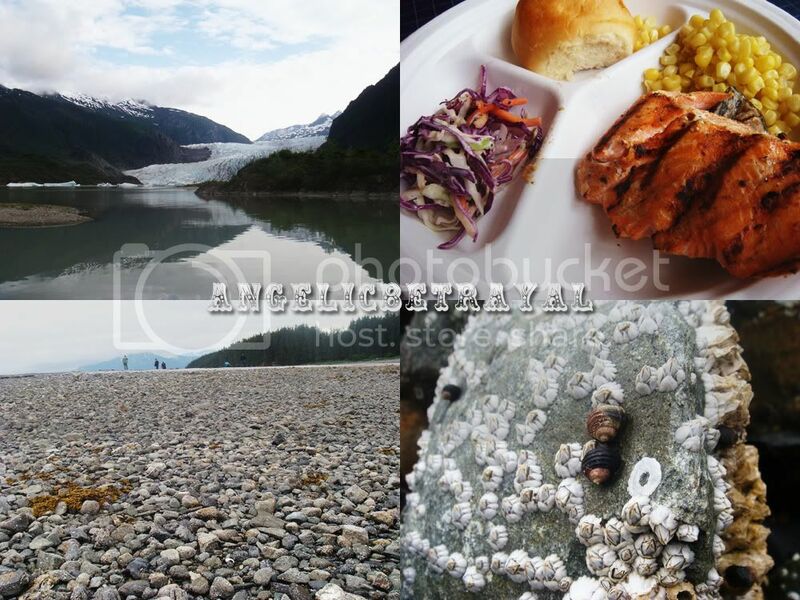 The next stop was Alaska's capital: Juneau. 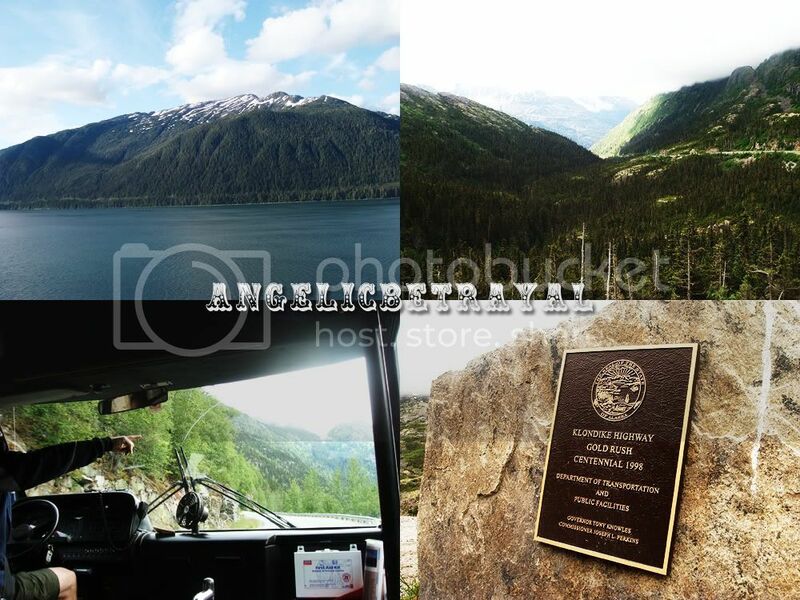 We took another bus tour which highlighted various places in the area and our first stop was Mendenhall Glacier. Next, we were dropped off at boats which took us whale watching for a few hours. I don't have any pictures of the whales we saw because I needed to be alert (lol) but we saw at least a dozen different whales. Apparently those humpback whales spend half of their year in Alaska feeding and then they travel to spend the other half in Hawaii to breed. The boat brought us to a small lodge where we feasted on a scrumptious salmon bake. The salmon was super fresh and tasty! 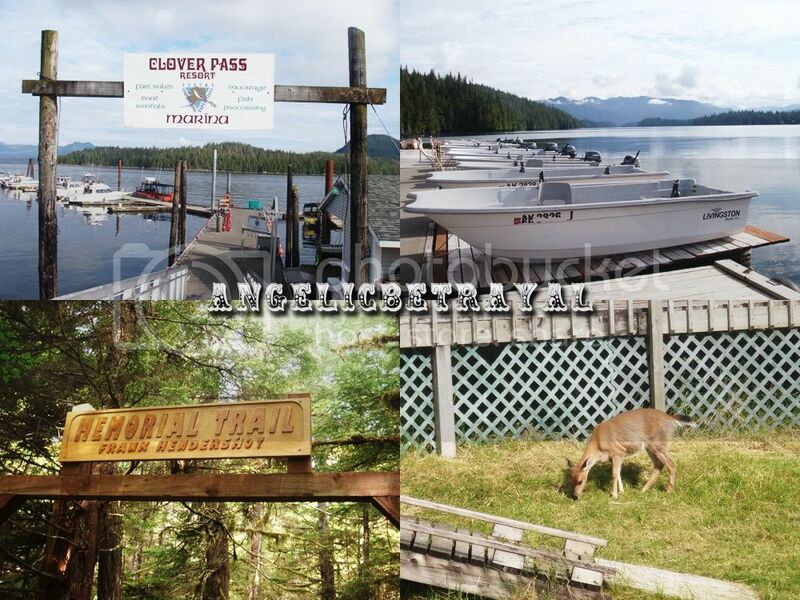 The last town we visited in Alaska was Ketchikan which was also very nature oriented. We took a bus to a boat which brought us to a small island with a small lodging area. We had a guided tour of the area and we were lucky enough to see a deer! We also feasted on a seafood steam pot almost exactly like the one we had in Seattle. My camera was acting all weird on me during the meal so no pictures of that :( The one in Seattle was better though because we had a better variety of crab. On our way back, we saw at least half a dozen bald eagles and the people who steered the boat threw fish for the eagles to catch. Although bald eagles are our national emblem, I don't believe we have them on the East coast.... at least not as much as in a place like Alaska! The night before we arrived back in Seattle, our ship docked for a few hours in the evening in Victoria, BC Canada. 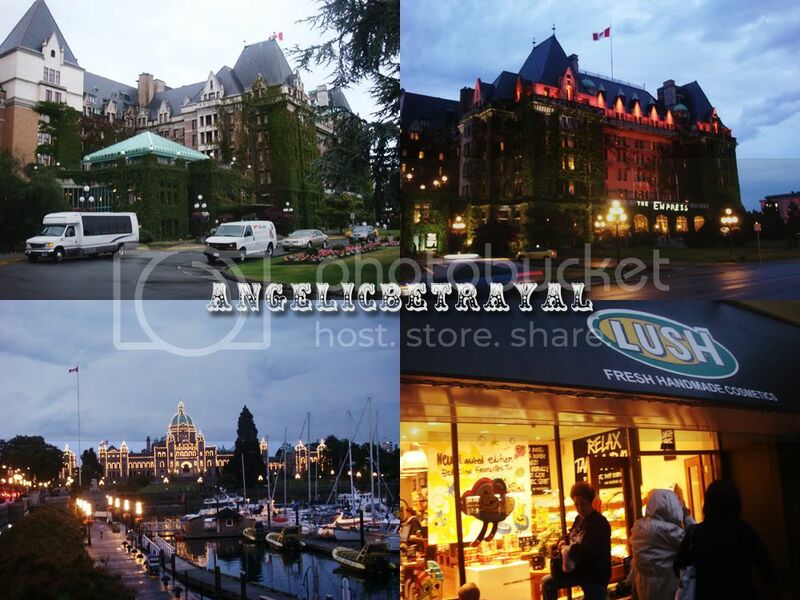 Victoria is actually the capital of British Columbia which I had not known before. The city is quite small but very clean and dainty. The scenery is actually quite nice after dark as the buildings illuminate the night. The main avenue is lined with gift shop after gift shop and I couldn't help but smell the faint aroma of Lush in each shop.... I thought I was going insane but lo' and behold! There was a Lush a few doors down! I walked in for a quick sneak peak at the prices and they are more of less the same as the American prices so I did not purchase anything. It was nice seeing a familiar store though (I did not spot a single Sephora during the whole two week vacation although I wouldn't have bought anything anyway XD). I was back on an airplane from Seattle to Georgia then from Georgia to New York (Newark, New Jersey to be exact). I finished reading Extremely Loud & Incredibly Close by Jonathan Safran Foer on the plane and I was crying non stop during some chapters. I must have looked very strange to the other passengers but it was a good read! That pretty much sums up my two week trip and while I felt that we did not have enough time in each city to explore, it was an enjoyable trip in which I got a good glimpse of the West. Thanks for reading about my trip and I hope you learned something and found this series worthwhile! Alaska looks much more interesting than I imagined it to be :P Cruises sound fun! wow...the sight is simply breathtaking! I've always wanted to visit Alaska. It's definitely on my list of places to see.